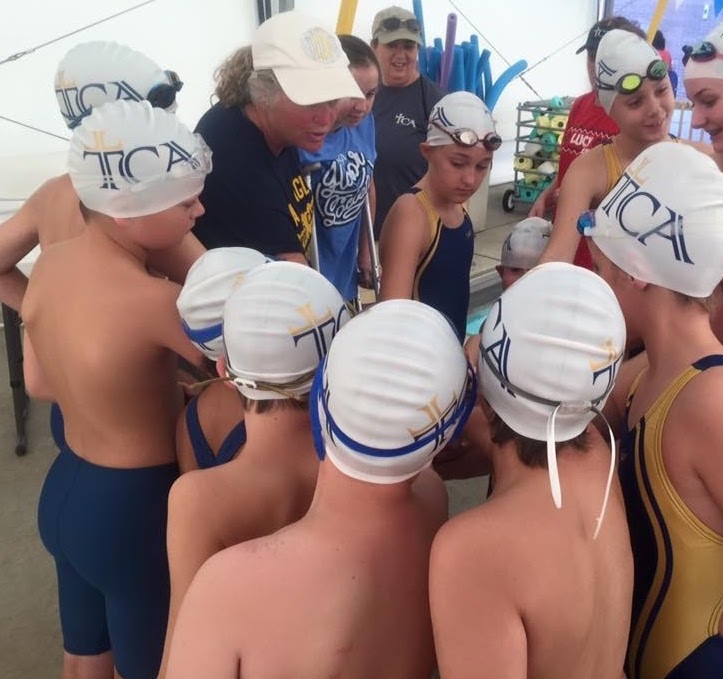 The TCA Swim Team is open to experienced swimmers as well as beginners. There are three levels of swim instruction offered. Basic swim skills of freestyle and backstroke are required to join the team. Monthly meets are held through our membership with the Shelby County Swim League. High School, Middle School and Elementary teams compete with the Memphis Swim League at St. George's School in Memphis. The Covington Aquatic Center serves as our practice facility.